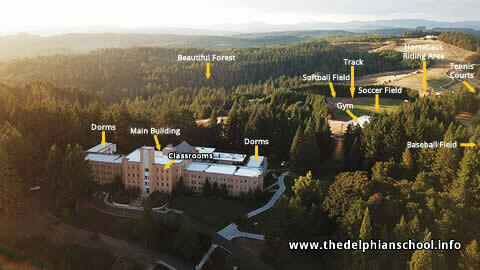 The Delphian School is just an awesome place to study and complete your high school education. It is a very special school that helps you learn and practice skills that will enable you to overcome any obstacle life throws at you. It is also a school that lets you pursue your interests and accumulate as much knowledge on specific subjects as you can possibly have. What do people think about the Delphian School? According to boardingschoolreview.com, niche.com and many other ranking sites, the Delphian School is one of the best private boarding schools in Oregon, USA. But, according to its students, alumni, and parents, it is one of the greatest schools in the world; just take a look at all the rave reviews and ratings it gets on Yelp, Facebook and Google. 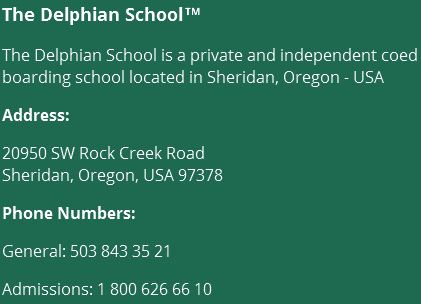 Where is the Delphian School located? It is located in a very small town (population 6,000) called Sheridan, Oregon USA, about an hour drive from Portland, Or. and 30 minutes from the state capital, Salem. What makes the Delphian School so special? The campus is beautiful, huge, more than 700 acres big, surrounded by nature and forest. It has wonderful state of the art athletic facilities where you can practice your favorite sport at a competitive level: Soccer, Baseball, Softball, Basketball, Volleyball, Track & Field, Tennis, Cheerleading, Archery, Horseback Riding, among others. It is fully equipped with its own library, tech lab, chemistry lab, shop, art and music areas, theater, cafeteria and coffee shop, among many other goodies. The dorms and student living areas are more than adequate and comfortable for student life. The food is also very healthy and nutritious. There are many extra-curricular activities available like: Theater, Photography, Film, Arts, Music, Science, Robotics, among many others. Students are constantly taken on trips to key businesses and cities (E.g. Google Headquarters, New York Stock Exchange, Harley Davidson, to name a few) and participate in Internship programs to further their education and career interests. Rules are strict (E.g. no bullying, no drugs nor smoking) and discipline is high (E.g. be on time, make your bed, complete all your assignments, go to bed at a specific time, etc.) which make for a safe environment and help students become responsible young adults by the time they graduate. The staff at the Delphian School is competent, caring and completely focused on the wellbeing and education of their students. This is a very important factor that you don’t see in many other schools. It has a very special study program and teaching method where students learn all their subjects with 100% accuracy and aren't afraid of taking exams. But above all, students are busy all the time, they are productive, they get a sense of belonging to a great group of youngsters (just like themselves) while maintaining their own individuality, they are taught to be ethical, loyal and responsible, they are free to pursue their interests and are really happy in general. Which is what I, as a parent, would want for my children: for them to be happy, productive and responsible individuals, and what better way to be all that than in a healthy and safe environment as well. Is The Delphian School fully accredited? What type of students attend the Delphian School? Most of its students are boarding students from many countries around the world (mainly from The United States, but students from other 18 countries have attended this school) and a portion of its student body is made up by day students from neighboring towns and cities. 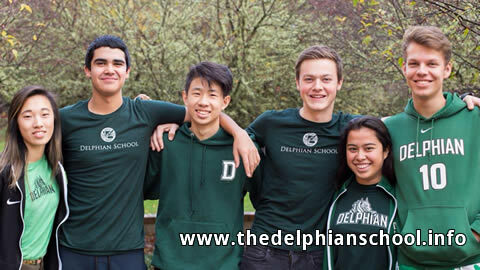 In regards to the typical profile of a Delphian student, we can tell you that there isn’t one since students from many different cultures are accepted; without taking into account gender, financial situation, nationality, religious or cultural background nor ethnicity. Approximately 65% of the students who apply are accepted. During our more than 42 years, we have had the pleasure of receiving students from virtually all US territories and states, including Alaska, Hawaii, and Puerto Rico, and countries like: Canada, Mexico, Panama, Brazil, Venezuela, UK, Germany, Italy, France, Holland, Australia, New Zealand, India, Japan and China. Which grades are taught at The Delphian School? We offer all elementary, middle and high school grades (preschool [kindergarten] throught 12th grade) with a student body of only 240 students and about 112 staff members. Absolutely! We are always thrilled to have people over so they can see the amazing things we are doing in the field of education and show them around our astounding campus. To this end, we hold several Open Houses during the year and have tours available from 9:00 to 2:00 from Monday to Friday. All you have to do is call and schedule your tour. We hope to see you here soon! In the meantime, you can take the virtual tour that we have included in this website.